Becoming an animal behaviorist is a career that can be lucrative and rewarding both personally and professionally. For those who have a deep love of animals and wish to pursue a career within the veterinary sciences, choosing to specialize in animal behavior offers the option of working with animals both large and small as well as their owners to help to modify the troubled behavior of animals in order to protect their welfare and ensure their health. Everyone from pet owners to zookeepers to farmers who manage livestock has the potential to need to consult with an animal behaviorist, making the field a broad and profitable one for the right individual. What Does An Animal Behaviorist Do? Someone who works in the field of animal behavior will have a career that is dedicated to modifying the behavior of animals in many situations. Often, an animal behaviorist will be called in when an animal is exhibiting tendencies that present a danger to its physical or mental health or to the well being of other companion animals or humans. The animal behaviorist must analyze the behavior of the creature as well as their environment and stimulus over a period of time in order to determine the exact cause of the offending behavior. For domestic pets, there are many simple techniques which animal behaviorists can help to implement in order to stop behavior problems. These methods avoid some traditional routes which could hurt the animal and which are inhumane. 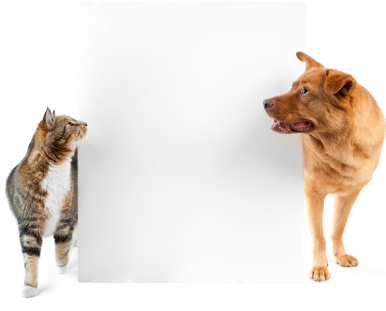 In some other cases, behavioral problems in an animal can be caused by a mental or emotional issue; it is up to an animal behaviorist, in this case typically referred to as an applied animal behaviorist, to determine what the issue is and what is causing it. Additionally, troubling behavior in an animal can be indicative of illness. When an animal behaviorist makes that determination, they can pass the information along to a veterinarian for further treatment and analysis. How Do Animal Behaviorists Benefit Zoo Animals? Animal behaviorists are experts in the type of environment that animals need to thrive and to be well both mentally and physically. One problem that is often faced by wildlife preserves and zoos is that animals exhibit negative behavior traits and antisocial behavior because the environment that they are in is not their natural habitat. It is possible for a zoo animal to have these issues even when raised in captivity. For the safety and health of the animals, an animal preserve or zoo must attempt to create an atmosphere for its creatures that is as close as possible to their natural habitat. Animal behaviorists can offer a great deal of helpful input as to how to use the limited space available to zoos and animal preserves to create spaces that promote the health and well being of the animals being enclosed. In addition to helping to create safe and healthy enclosures, animal behaviorists are also trained in the understanding of reproductive behavior of captive animals. When a zoo or animal preserve is housing endangered species which they wish to mate, it is not always as simple as putting the two creatures in one environment. All animals have different mating habits, and these animals are often acutely aware that they are in captivity and as such do not feel safe engaging in reproduction. In other cases, their reproduction in nature could be followed by violent or detrimental consequences if the animals are not immediately separated in the fashion in which they would separate themselves from one another in the wild. In these cases, animal behaviorists are able to step in and help zoos and preserves to facilitate effective mating between animals of endangered species. What Do I Need To Do To Become An Animal Behaviorist? The field of animal behavior is a very specific niche in the much broader field of veterinary sciences. To begin work in the field of animal behavior, an individual is typically expected to have obtained an undergraduate degree in either animal psychology, animal sciences, zoology, biology or psychology. These fields all provide the basis of knowledge necessary in order to move on to graduate work. In order to work in the field of animal behavior, the student will then typically move on to a graduate degree in a related field with a specification in animal behavior. They can complete either a Masters’ or a Doctorate program in order to be qualified to begin certification as an animal behaviorist. While venturing through school, it is wise for an aspiring animal behaviorist to seek employment, either gainful or via volunteerism, which will allow them to engage in frequent contact with animals. This will prepare them for their future work in the field. The Animal Behavior Society, or ABS, is an organization which provides certification for those who wish to be animal behaviorists. The qualifications demanded by the Animal Behavior Society are rigorous in order to maintain the desired level of professionalism within the field. It is worth noting that there are neither state nor federal licensing or certification requirements in order to work in the field of animal behavior; however, most practices that are looking to employ an animal behaviorist will be looking for someone in the field who has as many qualifications as possible. In this case, being a certified animal behaviorist would work in the favor of the applicant.